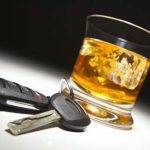 I am frequently asked as a Buffalo DWI Lawyer what can happen if you were charged with driving while impaired. If you are convicted, this is a non criminal infraction and will not give you a criminal record. I advise clients as a Buffalo DWI Lawyer that you will receive a minimum fine of $300 and are required to attend a victim-impact panel. If you want a conditional or restricted license you must attend the class the DDP offers. If you have been charged for driving while impaired in New York State, contact Attorney Arthur Pressman to be your ticket to justice!